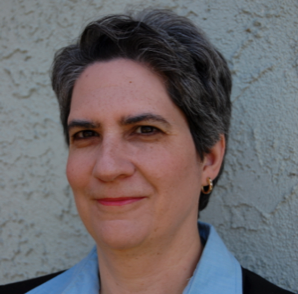 I am an Anthropologist and Associate Professor of Critical Studies (undergraduate program) and Visual & Critical Studies (graduate program) at California College of the Arts. I study how people use media to express technical identities, share aspects of the self, and accomplish civic engagement. I also co-founded and served as the Inaugural Editor-in-Chief (2012-2014) of Platypus: The CASTAC Blog, which is the official blog of the Committee for the Anthropology of Science, Technology, and Computing, a division of the American Anthropological Association. Anthropological, visual, and linguistic studies of digital media; technical identity; digital literacies; online interaction; civic engagement through video. My presentation “Emplacing YouTube” is scheduled to take place at the Thirty-Fourth Annual Visual Research Conference at the American Anthropological Association Meeting, November 14-18 in San Jose California. Join us! I enjoyed presenting my talk, “Is Ranting Ever a Good Idea?,” as part of the Leonardo Art/Science Evening Rendezvous (LASER) talk series at Stanford University. The LASER talk series is sponsored by Leonardo, The International Society for the Arts, Sciences and Technology. Here’s a link to the video. My new video Places of YouTube (8 mins.) was screened at the Society for Cultural Anthropology’s Biennial Meeting, a virtual conference this year. It was shown as part of the panel: Errance in a Time of Displacement, on Thursday, April 19. Information about the program is found here. Coming soon: A link to the video! I will be presenting my paper, “Posthuman Vulnerabilities on YouTube,” at the American Ethnological Society Meeting at Stanford University. I look forward to presenting my paper, "Temporal Vibrancy and Disruption in Video Sharing" at this year's AAA Meeting for the session on Data Friction. See you there! December 1, 2015 - New Paper! “Typing Your Way to Technical Identity: Interpreting Participatory Ideologies Online,” Pragmatics, 25(4): 553-572. The article is part of a special issue on Language Ideologies and Writing Systems. I will be presenting my paper, "Video Rants: Anatomy of a Genre," at the International Communication Association Conference in San Juan, Puerto Rico. October 22, 2014 - New Paper! “Commenting on YouTube Rants: Perceptions of Inappropriateness or Civic Engagement?” Journal of Pragmatics, 73: 53-65. The article is part of a special issue on The Pragmatics of Textual Participation in Social Media. My film, Hey Watch This! Sharing the Self Through Media, was internationally debuted at Ethnografilm! This is an exciting new international film festival that showcases ethnographic and academic films that visually depict social worlds. See the trailer on YouTube or Vimeo! I presented at talk, "Evaluating Techno-Aesthetics in Video: Demystifying the Aesthetic Gap Between Amateurs and Professionals," LASER series, Stanford University. See this link for a video of my talk. My paper was selected for the Virtual Conference at the International Communication Association meeting. Can't come to Phoenix? Check out the online conference papers, including mine entitled, "Rhetoricizing Visual Literacies." This paper received a "Top 6 Paper" award from the Language and Social Interaction Division of ICA. 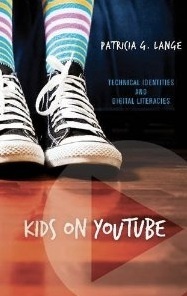 Kids on YouTube: Technical Identities and Digital Literacies. Walnut Creek, CA: Routledge, 2014. Hanging Out, Messing Around, Geeking Out: Kids Living and Learning with New Media. Mizuko Ito, Sonja Baumer, Matteo Bittanti, danah boyd, Rachel Cody, Becky Herr-Stephenson, Heather A. Horst, Patricia G. Lange, Dilan Mahendran, Katynka Martinez, C.J. Pascoe, Dan Perkel, Laura Robinson, Christo Sims, and Lisa Tripp. Cambridge: The MIT Press, 2010. Living and Learning with New Media: Summary of Findings from the Digital Youth Project Mizuko Ito, Heather Horst, Matteo Bittanti, danah boyd, Becky Herr-Stephenson, Patricia G. Lange, C.J. Pascoe, and Laura Robinson. Cambridge: The MIT Press, 2009. Jihyun Kim, New Media & Society 17(11): 1913-1915, December 2015. Brent Luvaas, American Ethnologist 42(4): 792-793, November 2015. Carolyn M. Cunningham, Biography 38(3): 457-460, Summer, 2015. Nita Kligler-Vilenchik, International Journal of Communication 9: 2926-2929, 2015. Emily B. Zimmerman, Teaching Sociology 43(3): 250-252, May 2015. "Participatory Complications in Interactive, Video-Sharing Environments," in The Routledge Companion to Digital Ethnography, Larissa Hjorth, Heather Horst, Anne Galloway, and Genevieve Bell, Eds., Pp. 147-157, 2017. "Typing Your Way to Technical Identity: Interpreting Participatory Ideologies Online,” Pragmatics, 25(4): 553-572, 2015. "Vlogging Toward Digital Literacy," Biography 38(2): 297-302, 2015. "Commenting on YouTube Rants: Perceptions of Inappropriateness or Civic Engagement?” Journal of Pragmatics, 73: 53-65, 2014. The article is part of a special issue on The Pragmatics of Textual Participation in Social Media. “Achieving Creative Integrity on YouTube: Reciprocities and Tensions," Enculturation 8, September 2010. “Creative Production,” Lange, Patricia G. and Mizuko Ito, in Hanging Out, Messing Around, Geeking Out: Living and Learning with New Media (Ito et al.). Cambridge: MIT Press, 2010. “Videos of Affinity on YouTube,” in The YouTube Reader, Patrick Vonderau and Pelle Snickars, Eds. Pp. 228-247. Swedish National Library Press, Distributed by Wallflower Press, 2009. “Conversational Morality and Information Circulation: How Tacit Notions about Good and Evil Influence Knowledge Exchange” Human Organization, 68(2): 218-229, Summer 2009. “Publicly Private and Privately Public: Social Networking on YouTube,” Journal of Computer-Mediated Communication, 13(1), 2007.